nevard_100429_lner-pigeon_IMG_6708_web, originally uploaded by nevardmedia. Some more progress with my rather long winded Chivers Finelines LNER Dia 120 4W BY Pigeon Brake Van. Long winded, not because it's a bad kit, but quite the opposite, long winded because there are simply not enough hours in the day, or days in the week! Here the little van after 4 coats of Railmatch BR Crimson aka Carmine aka blood. If this van was not going to be weathered I would have added just one more coat, the undercoat just showing a little. It's numbered up as the penultimate one in the batch produced of the van design and finished off with a coat of Railmatch Matt Varnish to seal everything in before weathering. It's interesting when seeing old photographs that BR Carmine looks quite orange rather than the pinky tone here. Of course these colours did fade very quickly in real life, going matt and pale within months. I imagine early colour emulsions tended to record colours differently to how the eye saw them too - adding to the mystery. Also different paint shops I'm sure had their own take on things, so it's quite reasonable to have plenty of colour variations. nevard_100411_lner-pigeon_IMG_6593_web, originally uploaded by nevardmedia. 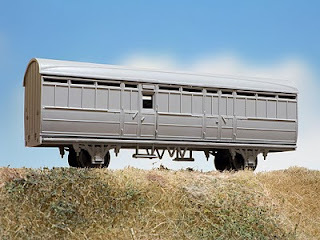 A little more progress with the Chivers Finelines LNER Dia 120 4W Gresley Panelled Full Brake (Pigeon Van). 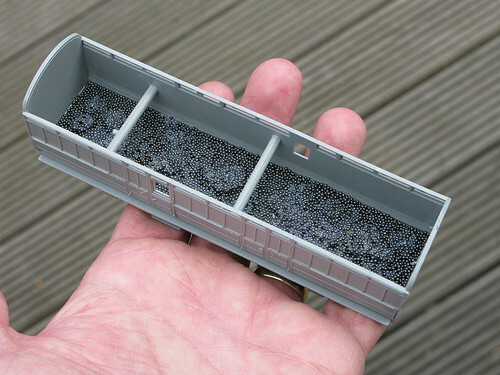 I like to blast rolling stock with a coat of matt black, especially the underframe area which can be tedious if done by brush, in this case I used an aerosol one from Halfords. These car paints are super tough and make a great base for further painting. Actually as I look at the photo here, I'm very tempted to do another in finished in departmental black livery as part of an engineering train. How accurate this would be I have no idea, but it think it would look the part. nevard_100409_lner-pigeon_IMG_6577_web, originally uploaded by nevardmedia. 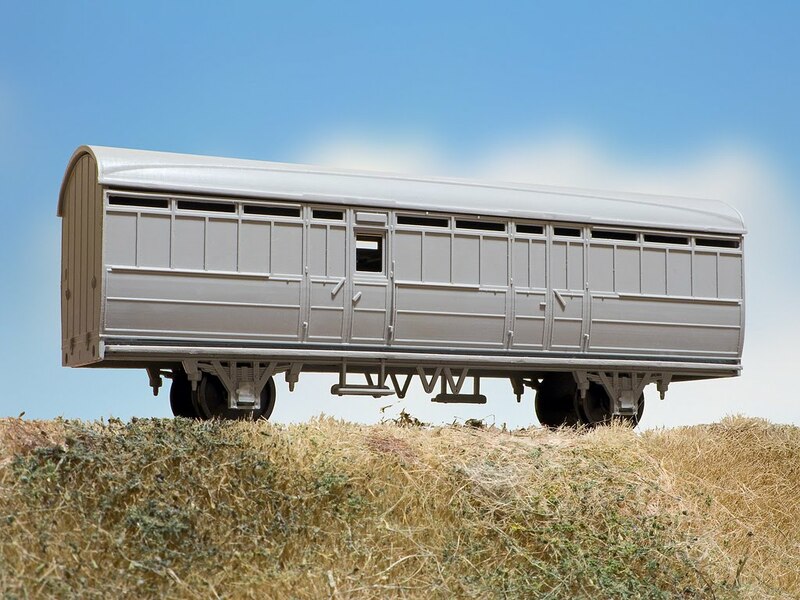 Progress has been slow with this wagon, not for any other reason that I've been very busy after the recent house move and photography of other people's model making. Some 'Liquid Lead' suspended in PVA has been used to give the Chivers Finelines' LNER Gresley Full Brake some much needed extra weight. I'm not very technical on this front other that if in doubt add a little more. My trains are only short so any excess is hardly an issue. Beware of using this weighting technique for enclosed areas like engine boilers - there have been several reported incidents of the PVA/Lead mixed expanding a little - resulting in pop! It's unlikely to be an issue here when the concoction has room to expand a little. The little lengths of sprue are to reduce the risk of the sides bowing in which they do tend to do with age. 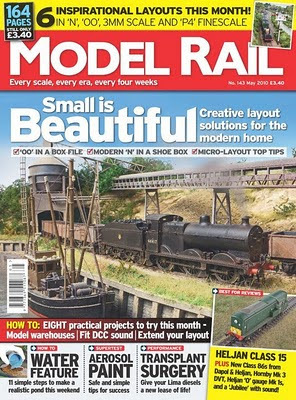 May 2010 Model Rail is dedicated to micro layouts, with plenty to illustrate that you can create something even in the tiniest of spaces. By contrast, the delightful Nettlebridge Valley Railway also featured is by total contrast around 35 feet long. Left - click to enlarge. 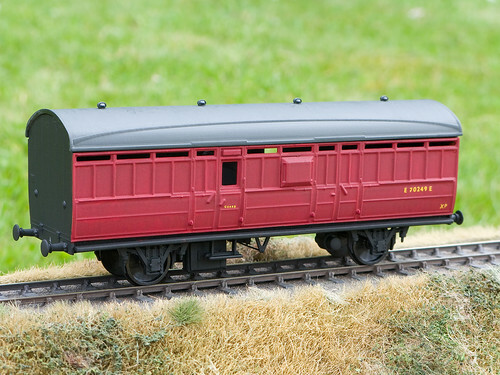 The first bit of model making this year in the form of a Chivers Finelines LNER Dia 120 4W Gresley Panelled Full Brake (Pigeon Van). The plan is to finish it in early BR Carmine which always looks good in a faded weathered condition. Much detail still to add in the underframe area and ends. 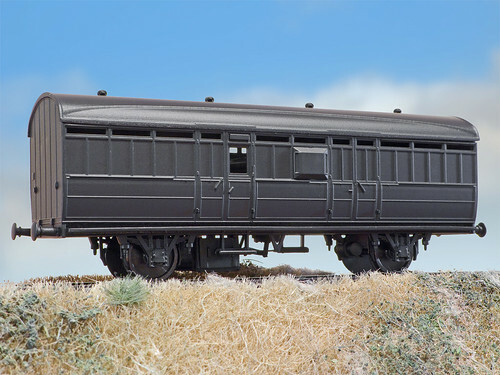 I've not constructed too many Chivers Finelines kits before, but something that does always impress me is just how crisp and well finished the mouldings are with little in the way of flash or badly fitting elements. They are also very good value too with this vehicle retailing at £8 minus wheels.